Summary: After trained examiners and accomplished business professionals performed a thorough assessment of their work, William H. Baker, Jr. and Kenneth Rolfes have been selected as recipients of an internationally recognized award from the Shingo Institute, part of the Jon M. Huntsman School of Business. The authors will receive their award at the 28th International Shingo Conference occurring April 25-29, 2016 in Washington DC. LOGAN, Utah — The Shingo Institute, part of the Jon M. Huntsman School of Business at Utah State University, has awarded William H. Baker, Jr. and Kenneth Rolfes with the Shingo Research and Professional Publication Award for their book, “Lean for the Long Term: Sustainment is a Myth, Transformation is Reality.” Bill Baker is president of Speed To Excellence and has been instrumental in assisting several companies and organizations pursue their strategic objectives. Ken Rolfes is president of KDR Associates and has more than 35 years of senior operations management experience for public and private companies. Baker and Rolfes have been deeply involved in leading lean transformations that last in today’s ever-changing business landscape. 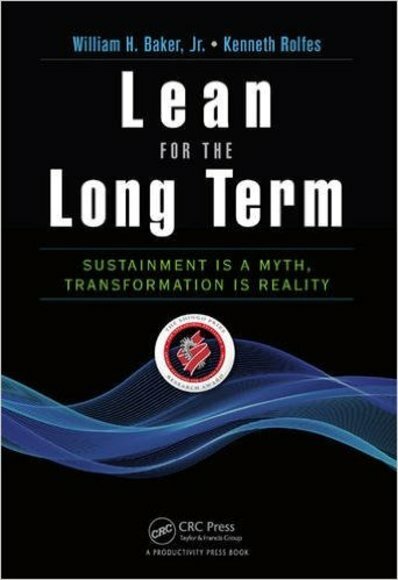 In their book, “Lean for the Long Term,” they present a lean management system model that encompasses leadership, process and growth as the model to drive business performance. The authors investigate the fragile nature of a lean culture and the resulting effects on people and the company when culture shifts. They illustrate the methods several companies have used to achieve successful lean transformations that last and also offer guidance on how to build your own action plan based on the best practices outlined in the text. The authors will receive the award during the Awards Gala of the 28th International Shingo Conference in Washington D.C. The conference is a five-day event featuring a selection of workshops, plant tours, keynote speakers and breakout sessions designed to provide ongoing knowledge, insights and experience for organizations in pursuit of operational excellence.